Hantz Farms: Is nation's largest urban farm experiment a land grab or solution to city renewal? Hantz Farms: Is nation’s largest urban farm experiment a land grab or solution to city renewal? Click here for a photo gallery of the area. A 100-block area on Detroit’s east side is about to undergo the nation’s largest experiment in urban agriculture. Under an unprecedented deal reached with the city late last year, Hantz Farms, operated by a wealthy entrepreneur, is buying 1,500 city-owned lots and planting 15,000 hardwood trees that will surround the area’s remaining houses, churches convenience stores and schools on the lower east side. Owner John Hantz pledged to demolish at least 50 of the 110 abandoned, city-owned houses and commercial buildings in the area in the next two years. 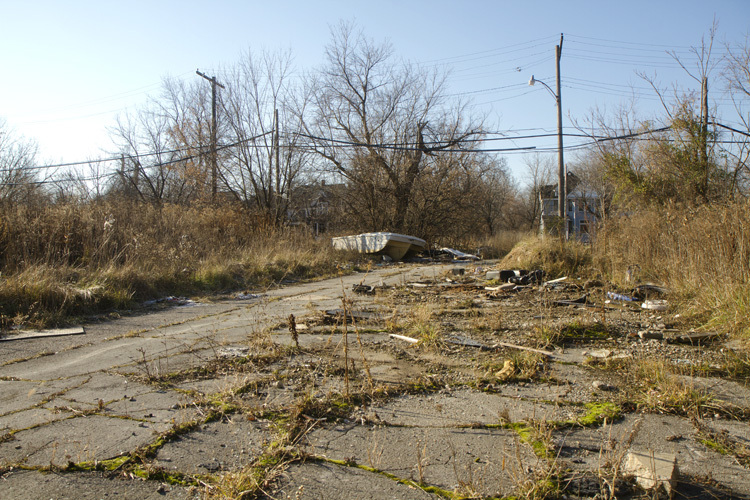 It’s the first real test of Mayor Dave Bing’s plan to repopulate stable neighborhoods and transform vacant areas into lakes, farms, forests and greenways. Over the past month, we interviewed residents, examined Census data and surveyed every block within the farm’s 140-acre boundaries, marked by Mack and Jefferson (to the north and south) and Van Dyke and St. Jean (to the east and west). The idea was to get an accurate portrait of an area that will be radically transformed by an urban experiment and the largest speculative land deal in the city’s history. 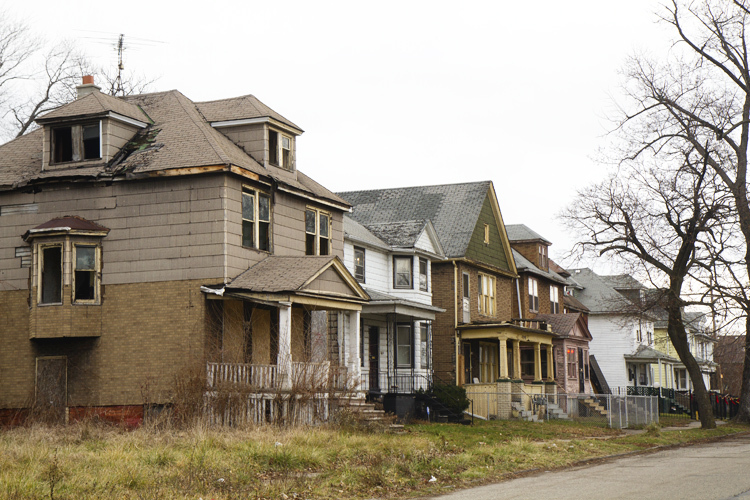 “The sale will result in the elimination of blight — debris, illegal dumping, and vacant structures — on a large parcel of east side property,” Detroit Mayor Dave Bing said. Critics says the deal is a virtual giveaway at $350 per parcel and makes no longterm guarantees. An analysis of Census data shows the area has been shedding residents for a half century, and between 2000 and 2010, the population declined 44.5%, compared to 25% citywide. Nearly half of the parcels are vacant and overcome by nature. A quarter of the remaining 2,300 homes are abandoned and open to trespass. In the early mornings, children walk past vacant houses and piles of trash on their way to Howe Elementary School, which is in the thick of the project area. Streetlights often don’t work, and the sidewalks are crumbling. neighbors once lived are now home to pheasants, raccoons, rabbits and an occasional fox. Her children or grandchildren still live close by. Like most people we talked to, Wade knew nothing of the tree farms that are to spring up in the vacant lots around her. This part of the lower east side wasn’t always this way. In the 1920s, the area was virtually all white and attracted men with good jobs. They were teachers, salesmen, shop clerks and top-of-the-rung factory workers. Their wood-frame homes were long and narrow with postage stamp frontyards and spindly elms. When white people fled to the suburbs, they left behind a surplus of houses in a city that had all but paralyzed the black population with racist policies in housing, jobs and education. The result – decades of decline, neglect, blame and division. Houses were demolished, burned down or left to rot. Enormous elm trees collapsed from disease and have been resting undisturbed for decades. Fire hydrants are out of service. 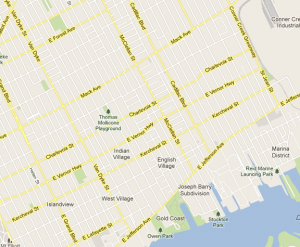 Three streets are impassable because tires, garbage, discarded toys, large tree branches and even a boat block the way. Most of the remaining businesses are liquor stores. “There’s nothing here,” said James Donaldson, a recent father in his 20s. “But I got a baby. And right now we got a place to stay at her aunt’s,” he said of his girlfriend. Whether it’s a solution to urban renewal won’t be known for many years. 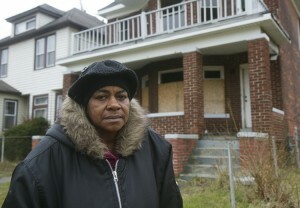 Abandonment is among Detroit’s most plaguing problems. 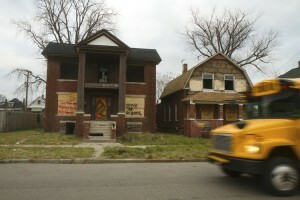 About a third of the city’s 139 square miles are empty or contain abandoned buildings, according to Data Driven Detroit. 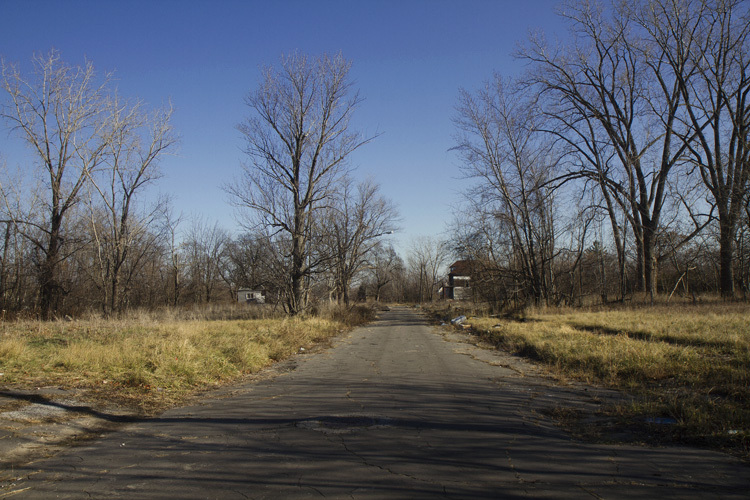 Much of the land is owned by Detroit, which means it’s not collecting taxes on the property and is responsible for the upkeep. 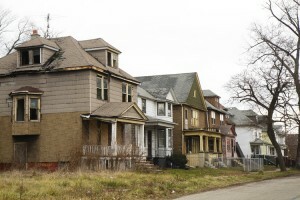 But the cash-starved city is unable to maintain its more than 60,000 vacant parcels, contributing to the blight that is driving down property values and attracting crime. City officials said the Hantz Farms project may be unorthodox, but after more than 50 years of declines, it’s better than the status quo. Despite loud protests last month, city council narrowly approved the deal. “A ‘no’ vote would have sent the message to the world that Detroit isn’t really serious about urban agriculture,” said Councilman Kenneth Cockrel Jr., the most outspoken supporter of the environment. Steve Neavling is an investigative journalist and former city hall reporter at the Detroit Free Press. Living on the city’s east side, Neavling explores corruption, civil liberties and the underbelly of an oft-misunderstood city. I agree with rgs21. Can someone explain the downside? Do you think it is better for the city to own all of this land than for a citizen or a corporation? Is the city more trustworthy than citizens or corporations? Is it better for trash, abandoned homes, weeds and debris to fill these lands and for the city to be responsible for the upkeep? How much land does Ford, Chrysler, and GM own in Detroit. Is it bad for the city for these corporations to own land? These are all honest questions. I would like to hear from someone about why this is a bad idea. Can someone please explain the downside of a pure landgrab? I’ve not seen anything other than scare quotes and scare tactics used to describe the so-called risk of this sale. No one has done anything with this land in years, and no one has come to the city with a similar briefcase full of cash. What am I missing? You’re missing the threat such ownership presents to power and control. What is the threat such ownership presents to power and control? It beats nothing. Nothing is indeed the alternative. The blight and abandonment is discouraging.